You undoubtedly have heard of durable powers of attorney while planning your estate. You may understand them as trusted individuals who will maintain your health care directives or help manage your finances after you have passed. Durable Powers of Attorney are just that: powerful. They should be selected with careful deliberation and they should be someone you trust implicitly, as sometimes, there are more powers available to this individual than you may be aware of. This may sound a little surprising, but your durable power of attorney may have the ability to request your medical bills, records, and any coroner reports. However, if a physician or medical professional believes a patient is being either physically or mentally abused by the named agent, they may choose not to treat the agent as their patient’s health care surrogate. For example, if a doctor believes the power of attorney representing a woman in a coma is abusing his power with her care, they may choose to ignore his directives regarding her care. Typically, you make a decision as to whether you would like to donate your organs while you are alive. You can do this by declaring yourself as an organ donor through the DMV. If not specifically stipulated otherwise, however, your power of attorney will be able to direct the transplantation or donation of your organs after your death. It must be first properly drafted and authorized. Your agent under your Durable Power of Attorney often is authorized to prepare and sign your income tax returns, request changes in your distributions from your IRA, and discuss matters on your behalf with the Social Security Administration. As part of your estate plan, you will create healthcare directives that will dictate how you wish to receive medical care in the case that you are incapacitated and unable to make the decisions yourself. However, if you go into a vegetative state and doctors believe you won’t recover, your power of attorney will be the one who is charged with seeing that your wishes are carried out. If you want to put your assets into a Medicaid trust, make sure you consult an experienced estate planning lawyer to make sure your assets are properly protected and passed on to your beneficiaries. 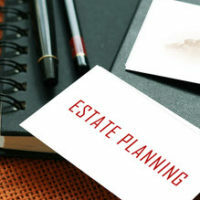 The St. Petersburg estate planning lawyers at Legacy Protection Lawyers have decades of experience in managing a myriad of trusts and will be able to lead you down a path that is right for you and your family. Call our offices today to start your plan, at 727-471-5868. You can also contact us online to schedule a consultation today.